Cape Town - An urgent court application to freeze some R1.75bn in mine rehabilitation funds from the Gupta-owned Optimum and Koornfontein coal mines will be heard in the North Gauteng High Court in Pretoria on Tuesday. These funds are meant to manage environmental damage caused by mining. The application is being brought by anti-corruption advocacy group the Organisation Undoing Tax Abuse (OUTA). 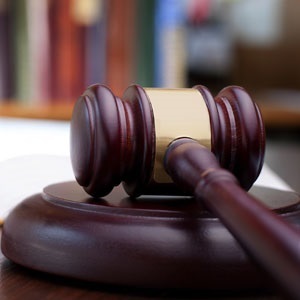 OUTA’s water and environment spokesperson Julius Kleynhans told Fin24 on Friday that OUTA had submitted an affidavit with the court on Thursday, and that Tuesday was the first available date on the court’s calendar. In its 382-page founding affidavit, which Fin24 has seen, OUTA ask for two types of relief, one which it describes as urgent. First, it asks the court to “urgently” freeze the trust funds of the two mines held in the Bank of Baroda’s accounts, and direct the bank to continue holding the money in interest-bearing accounts. The advocacy group is asking the court to declare the directors of the trusts cannot “directly or indirectly" touch any of the funds or assets in the trusts. It is also asking the court to, “at a later date”, hear its motion to remove the trustees of the two trusts, and “appoint a minimum of two independent or otherwise suitable trustees” to manage the trusts. The trustees must also deliver to the court a “full accounting relating to the Trusts’ property” according to the affidavit. OUTA’s court bid follows the dismissal of an application by 20 Gupta-owned companies, including Optimum and Koornfontein coal mines, to stop Indian-based Bank of Baroda from shutting their accounts. The companies have to remove their money from the bank by the end of the month, and it is uncertain what will happen to the mine rehabilitation funds, or where they will be transferred. The Bank of Baroda had been the last hope for the Gupta-owned companies to retain banking services in South Africa. Absa, Nedbank, Standard Bank and First National Bank had all previously shut their Gupta-linked bank accounts. So have the Bank of China, the Bank of India and the State Bank of India. Fallout from the shutting of the Bank of Baroda’s accounts has already impacted Optimum Coal Mine. As Fin24 reported earlier on Friday, the Gupta-owned mine will pay its employees late this month, as it has to transfer funds back to South Africa. In an email to employees following Thursday's court decision, the mine’s general manager Howard Pyoos said employee salaries would only be paid on Wednesday September 27, instead of on Friday.